The new Lineartronic CVT available in the 2.5i model has an added advantage: It could save a lot of money in the long run, as it gets several more miles per gallon than the manual and needs no maintenance for the life of the vehicle. Subaru is finally taking its all-wheel-drive message into the mid-size sedan mainstream, and it’s done so almost flawlessly with the 2010 Legacy. TheCarConnection.com has driven several variants of the new 2010 Subaru Legacy—ranging from the base 2.5i to a loaded 3.6R Limited—and bring you an overall assessment here. 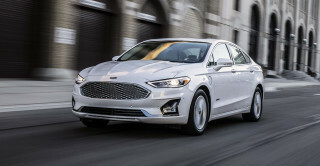 In order to provide the most information possible and hit any additional points that might prove useful, TheCarConnection.com also studied up on what other experts said and highlighted them in a Full Review. The mid-size Subaru Legacy sedan has been completely redesigned for 2010, and it's grown larger inside and out, including a refreshed powertrain lineup, with upgraded engines in the turbocharged 2.5GT and six-cylinder 3.6R models. While the outgoing Legacy could trace a few of its components all the way back to 1989, this version is built on a new platform, based somewhat on the Impreza and WRX, and shares nothing with the 2009 model. 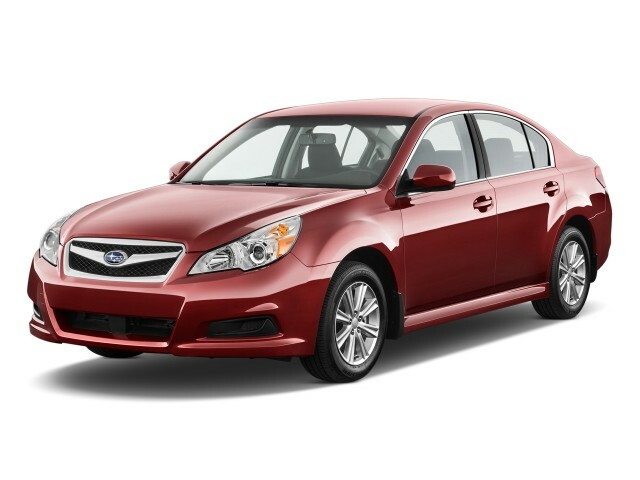 At first glance, there's no mistaking that the new 2010 Subaru Legacy is larger and more substantial. 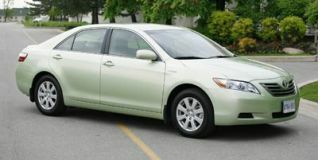 Compared to the '09 model, the 2010 Legacy is just 1.4 inches longer, but it's nearly 4 inches wider and 3 inches taller, with a wheelbase that's been stretched by more than 3 inches. The Legacy has a completely new profile, with a rakish snout and arched roofline that tapers down to a short, tall decklid. A thin strip of chrome brightwork accents the arch and tucks down to the back door. Aggressively lipped wheel wells keep the Legacy from appearing too slab-sided, while two character creases help give the design some cohesion: one running from the edge of the winged chrome grille through the hood to the front pillars, the other running from the broad, well-detailed headlamps, skirting the front wheel well, and further defining the beltline. Inside, the 2010 Legacy breaks through with a new look that doesn't borrow much from either the smaller Impreza family or the Tribeca crossover. 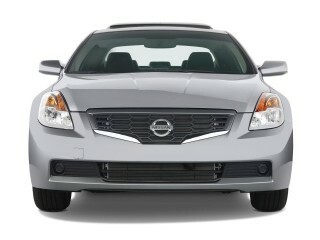 The design includes an upright center stack with a metallic-look finish flanked by vents that almost echo the winged, upward theme of the grille and headlights, with the audio system placed high. At the front, close to the driver's field of vision is a trip computer, and the instruments themselves are simple, with nice, round gauges. The new Legacy comes with three different engines. The base 2.5i version gets the familiar 170-horsepower, 2.5-liter horizontally opposed ”flat” four-cylinder engine, while the 2.5GT upgrades to the 265-horsepower version of the 2.5-liter engine; the new 3.6R model replaces the old 3.0-liter model, moved by the Tribeca's 256-horsepower, 3.6-liter flat-six. If you go with the 2.5i, you have a choice of a new six-speed manual or a continuously variable automatic transmission (CVT), which Subaru calls Lineartronic. 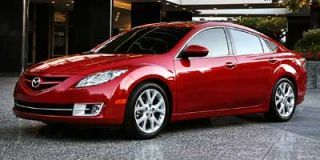 While 2.5GT models come only with the six-speed manual, 3.6R models have a conventional five-speed automatic transmission. 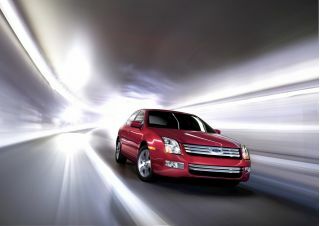 The base 2010 Subaru Legacy 2.5i models aren't quick, but they have adequate acceleration for most needs with the six-speed manual or the CVT. The new Lineartronic transmission actually gets better fuel economy than the manual transmission (with a best-in-class EPA rating of 23 mpg city, 31 highway), and it includes paddle shifters that simulate six ratios; downshifts occur in as little as a tenth of a second. 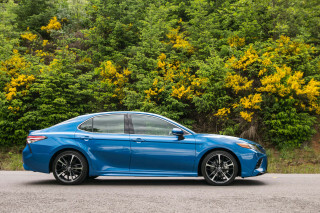 Just as with the outgoing Legacy, the turbocharged 2.5GT feels the fastest; the model inherits the WRX's new engine, with a greatly flattened torque curve, and it delivers power quickly, smoothly, and with very little turbo lag. The 3.6R engine brings a completely different character—it's confident, torquey, and relaxed, and its fuel efficiency is about the same as the turbo engine. Whether with the naturally aspirated engine in the base 2.5i or the turbo engine in the 2.5GT, the clutch pedal is light and engages smoothly and precisely; it combines with a throttle that's progressive, with a gentle tip-in, so almost right away you'll be taking off smoothly. Yet throttle response is quick with either engine; rev-matching for quick downshifts is also easily done. While suspension tuning is essentially similar between all three models, wheel and tire differences give each model a slightly different feel. Base models feel light and nimble, as do 2.5GT models, while the 3.6R comes across as a little bit heftier, with a nose-heavy emphasis in sharp corners. Push the Legacy hard into a corner and there's some body lean, yet the suspension maintains grip beyond expectation; it's tough to upset the sedan's poise—especially in inclement weather—and in the best road conditions there's surprisingly little nosedive in hard braking or front-end lift in hard acceleration. 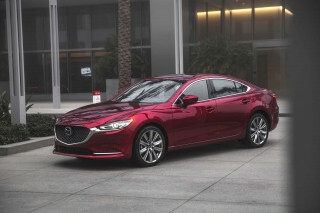 All three models have quicker-ratio steering that feels boosted just right for most drivers, along with a supple ride that soaks up small imperfections, potholes, and general coarseness, and relative to its predecessor and most other mid-size sedans, the new Legacy's cabin has very little road noise. For the first time, the new Legacy gets framed doors for 2010; the change was first ushered in on the 2006 Tribeca and helps reduce wind noise. The 2010 Subaru Legacy's cabin is a revelation compared to the outgoing model; larger than some, it's not in the same league as most other mid-size sedans. The front seats now adjust for loads of legroom and have nice, long cushions, and it's easy to find a comfortable driving position with the tilt/telescopic wheel adjustment. The nice three-spoke steering wheel looks and feels great, whether plain (base 2.5i) or leather-trimmed, and all versions—even the base—include steering-wheel-mounted audio controls; one of our only layout issues was that we repeatedly hit the hazard button while shifting to fifth gear in manual models. In back, there's enough space for two adults to be comfortable after a full day on the highway; this 6'6" tester found just enough headroom in back and plenty of legroom. Entry and exit to the back is among the easiest, thanks to a door opening that matches the rear backrest. All the small conveniences are represented as well, with eight cup holders, cubbies in each door, several center console bins, and map pockets, plus an overhead console on all models. We like the standard cloth upholstery, which was comfy without looking too delicate or attracting pet hair. The trunk is absolutely huge, with a nice big opening, and an easy pull from levers right up near the trunk rim causes the seats to flip forward, creating a flat load surface. The 2010 Subaru Legacy doesn't skimp on safety. Across the model line, front side airbags, side-curtain bags, electronic stability control, and anti-lock brakes with brake assist are all standard. All models also include an electronic parking brake with an electronically operated Hill Holder System that aids safe, smooth starts either facing up or down on steep inclines. Subaru expects top five-star ratings and "good" IIHS results, but we'll update you when they're official. Most models in the Legacy lineup have gained standard equipment yet fallen in price. 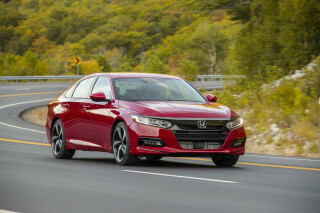 3.6R models have dropped the most, but TheCarConnection.com's pick for best value was the base 2.5i model, which is an amazing deal at a starting price of just $19,995 (or $20,995 with the CVT). At that price, it includes power windows, locks, and mirrors; air conditioning; cruise control; tilt-and-telescope steering; keyless entry; split-folding rear seatbacks; and a four-speaker AM/FM CD player with aux input. Premium models add a number of conveniences and appearance upgrades, including alloy wheels, a power driver's seat, a leather-trimmed steering wheel, and chrome exhaust tips. The Limited models of the 2010 Subaru Legacy get dual-zone climate control and a 440-watt Harman Kardon premium audio system, among other added features. The system is also optional on the Premium, as is a moonroof. A voice-activated nav system is optional only on the Limited and includes a backup camera, Bluetooth connectivity, USB and iPod interfacing, and streaming Bluetooth audio. The 2010 Subaru Legacy doesn't make a strong statement, but it has a cohesive design that's well executed and nicely detailed inside and out. Subaru’s polarizing styling has grown even more so in the last couple years, but the debut of the all-new 2010 Subaru Legacy proves that Subaru’s designers can still turn out a very attractive and attention-getting sedan. TheCarConnection.com’s own editors come away impressed with the cabin after their time with the Subaru Legacy 2010 lineup, finding the controls generally easy to use and the cabin extraordinarily comfortable. Handling is excellent, and acceleration is strong in all but the base 2.5i; that model redeems itself with class-leading fuel efficiency from the CVT. Although one of Subaru’s hallmarks is its devotion to safety, the brand has maintained a strong performance emphasis (see the WRX lineup). For the Subaru Legacy, 2010 brings some upgrades in performance capabilities, and once again this sedan is more than deserving of the “sport sedan” moniker. In addition to the new powerplants, the 2010 Subaru Legacy sedan features a new transmission option: the oft-derided CVT, although Subaru has executed its CVT rather well. Car and Driver reviewers say the “CVT surprised us,” as it “manages to keep the revs low when cruising and the droning, golf-cart-style acceleration typically associated with a CVT to a minimum.” The Subaru Legacy 2010 lineup also offers a pair of more standard transmissions, with JDPower.com finding a “new 6-speed manual…on 2.5i models,” as well as a standard five-speed automatic that pairs with the six-cylinder engine. Some prospective buyers will be disappointed to hear Edmunds note there is “no automatic transmission available with the turbocharged engine,” but Subaru figures that most drivers opting for the sportiest of Legacies will want to row their own gears anyway. One of the benefits of the CVT offered on the base 2.5i is that it affords excellent fuel economy, especially once you factor in the standard AWD that comes with each Subaru Legacy 2010 model. According to the official EPA estimates, the 2010 Subaru Legacy 2.5i with the CVT should return 23 mpg in the city and 31 mpg on the highway, while the standard manual 2.5i gets a 19/27 mpg rating. Moving up the power chart, the EPA estimates that the Subaru Legacy 2.5GT will get 18 mpg city and 25 highway, as will the six-cylinder option. The Subaru Legacy mid-size sedan has always lagged somewhat behind its competition in terms of passenger room, especially in the rear bench seats, but for 2010, Subaru has bumped up the size and, correspondingly, the interior passenger volume. The extra space, combined with an increased emphasis on materials and noise cancellation, makes the 2010 Subaru Legacy a serious competitor to sedans like the Mazda6 and Honda Accord. Although the 2010 Subaru Legacy sedan features a significantly vaster passenger compartment, not all of the additional volume afforded by the new dimensions has gone to passenger room. In fact, JDPower.com says the Subaru Legacy 2010 lineup’s cargo space has grown to include a “14.7-cubic foot trunk—one of the largest in the segment, according to Subaru, and a significant achievement considering that the car’s design requires packaging a rear differential and drive axles.” Automobile Magazine reviewers break out the measuring tape as well, noting that “interior volume is now 103 cubic feet, just larger than the Toyota Camry’s 101.4 cubic feet, but still a bit behind the Honda Accord’s 106 cubic feet.” Inside the cabin, Autoblog is pleased to note that the 2010 Subaru Legacy offers “a deep storage pocket for odds-n-ends,” while smaller nooks and storage crannies abound. The 2010 Subaru Legacy offers all the expected safety features, including stability control on the base model; top crash-test results are anticipated. Subaru has carved out a nice little niche for itself by heavily marketing the safety credentials of its vehicles, and the 2010 Subaru Legacy carries on the Subaru tradition of safe, family-friendly sedans. Neither NHTSA nor the IIHS has begun crash-testing 2010 models, but Subaru officials tell TheCarConnection.com that they expect the Subaru Legacy to earn perfect five-star impact ratings from NHTSA, as well as the IIHS’s highest impact rating, "good,” once the 2010 Subaru Legacy is tested. Based on the Subaru Legacy’s previous performances in similar crash tests, those targets seem quite reasonable. Furthermore, JDPower.com reports the 2010 Subaru Legacy features a redesigned frame that includes “a new engine cradle design [that] improves front-impact safety,” while the entire vehicle “features greater use of high-strength steel.” Stay tuned to TheCarConnection.com for the latest safety updates on the Subaru Legacy 2010 lineup. Subaru has lowered prices and increased standard equipment, so the value proposition and features list are better than ever. Subaru has attempted to take the Subaru Legacy upscale for the 2010 model year with the addition of several new high-tech features, and the initial impressions in reviews read by TheCarConnection.com are positive. 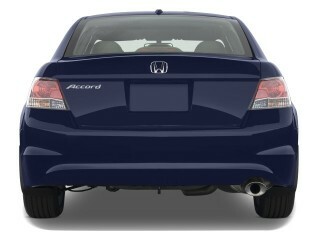 Great Sedan Value -- what Honda Accords used to be!